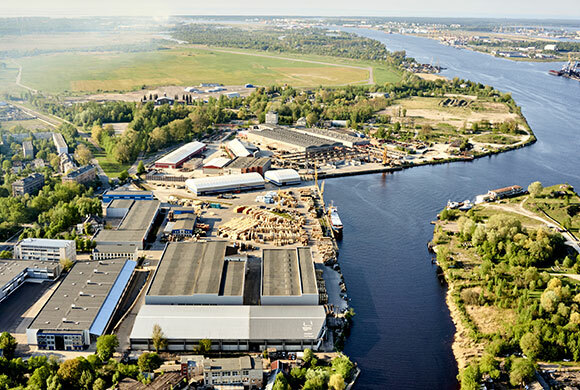 The port is located 3 km away from the centre of the city, 5 km from the international airport and the ring road, which makes it one of the most convenient locations in Riga for delivering freight from any direction. The port has convenient road and railway connections. The territory is more than 120,000 m², RD-1 and RD-2 berths, warehouse, office buildings and land are owned by the company.